“We want Sikhs in the armed forces to get their families involved. Being in the armed forces, when you are Sikh, means you can get quite isolated from the religious community." The spirit of Khalsa Panth rose to a new pinnacle on December 25th 2008. Although the Sun shines everywhere, if someone is sitting inside with the curtains drawn, they prevent themselves from experiencing the Sun. The presence of Guru Gobind Singh Ji permeates her narrative which is filled with inspiration and devotion. 20 Million Signature Campaign to Open Kartarpur Sahib Corridor at Yuba City. A Humble Tribute to 300 Saal Guran De Naal at Yuba City, California USA. President Prathibha Patil will participate in the concluding programme of the Gur Ta Gaddi at Nanded today. 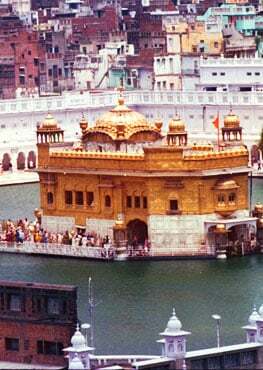 Sikh pilgrims cleaned the sanctum sanctorum by fetching water thrice from the Godavari and twice from Bawdi-sahib, a historic well located behind the Sachkhand. 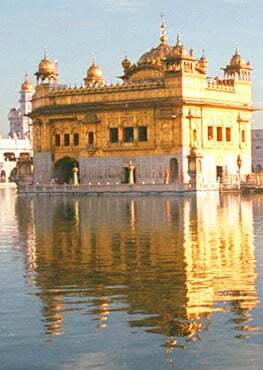 Daily audio reports from Ek Ong Kaar Kaur and who are both there participating in the joyous events in Takhat Sachkand in Hazoor Sahib. While Muslims around the country celebrate Hari Raya Aidilfitri, Sikhs are commemorating an equally auspicious event..